We are immensely excited to reveal the films in competition at the 59th San Francisco International Film Festival! This year, 23 countries are represented in our Golden Gate Award New Directors and Documentary Feature slates. All in all, the Film Society will distribute nearly $40,000 in total prizes through SFIFF competitions. This is a major way that we recognize emerging talents from around the globe. Among the most significant awards for emerging global film artists in the United States, these awards bring attention to innovative and quality filmmaking, regardless of their participation in other festivals. 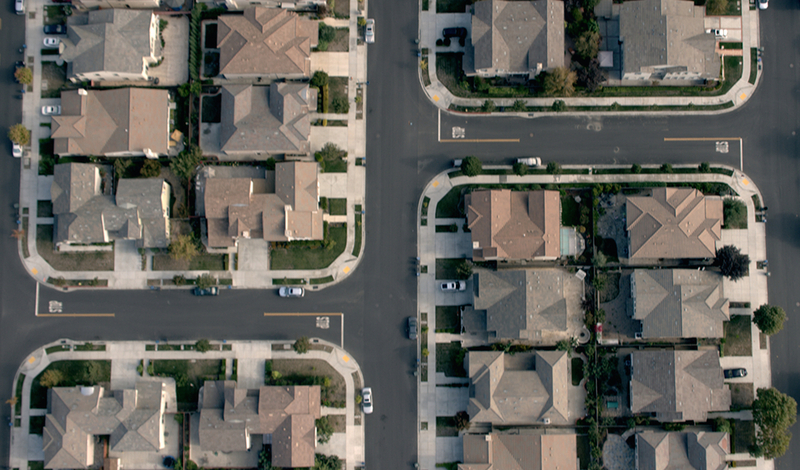 The GGA New Directors Prize winner will receive a cash prize of $10,000; the GGA Documentary Feature winner will receive $10,000; and the GGA Bay Area Documentary Feature winner will receive $5,000. The Golden Gate Awards will also include competitors in six short film categories. These short film nominees will be announced at the Festival press conference on Tuesday, March 29. More than cash prizes, the Golden Gate Awards exist to celebrate independent artists and their work, providing an chance for international exposure and recognition amidst the mayhem of the festival circuit. Without further ado, meet the films that we are thrilled to present in competition this year. Her family assumes that Farah, a high-achieving student in Tunis, will continue her studies, but she just wants to sing. When her mom hears that she’s performing politically provocative material with a group of male friends, a powerful story unfolds of female independence that stands in the face of conservative Muslim beliefs. Documentary filmmaker Philippe Lesage’s narrative debut is an exquisitely observed portrait of a delicate 10-year-old Quebec boy grappling with the insecurities and confusion of impending adolescence. The fragility of innocence is foregrounded through minor humiliations and petty cruelties that unfold in pastel, sun-soaked locations. Infused with an unsettling air of ambiguity and dread that portends terrible crimes to follow, this restrained and coolly beautiful film is an unforgettable portrait a child forced to confront the dangers of growing up. When a middle-aged single man, who cruises his Caracas neighborhood for rough trade, takes a tough young boy into his home, a gritty exploration ensues as these two angry men negotiate a relationship that resides somewhere between lover and friend and a paternal father/son dynamic. Winner of the Golden Lion at the Venice Film Festival, Lorenzo Vigas’s debut feature is a tour-de-force exploration of a relationship's darker side. Dedicated home-care nurse Vlasta (Karlovy Vary winner Alena Mihulová) traipses around the south Moravia countryside on bus and foot tending to (and bantering with) patients too infirm or elderly to travel. When she herself is diagnosed with a serious illness, she turns to alternative therapies and the company of women healers. The Czech Republic’s Oscar submission for Best Foreign Language Film is a rueful, touching mix of realism, absurdity, irony and daring gallows humor. Yaelle Kayam’s debut feature is strikingly shot against the tombstones of Jerusalem’s Mount of Olives, where an Orthodox woman’s longing for her husband’s love sets in motion a transformational journey into a nocturnal world of pimps and prostitutes. A mesmerizing performance by Shani Klein keeps viewers riveted to a character study that is by turns tender and startling. In this suspenseful war film that uses fear of the dark to great effect, a French army contingent operating in Afghanistan is beset by mysterious disappearances. While Captain Antarès (Jérémie Renier) initially and understandably blames local villagers for the loss of his men, the real cause could be something supernatural, a force that implies the profound wrongness of these men being on soil that doesn’t belong to them. When water becomes scarce due to drought, a laundress living in rural southwest Bulgaria with her husband and son invites a dowser and his spirited daughter onto their property to search for hidden springs. Wonderfully atmospheric, the film gracefully depicts how the teenaged girl’s combative nature and the oppressive heat surrounding them all upset the family’s balance, for good and bad. In a small South Indian village, a cantankerous centenarian keels over and dies, setting the stage for a capricious comedy of errors among three generations of dissimilar sons. Conflict, confusion, corruption and a series of ill-conceived actions all come to a head at the funeral celebration (the titular thithi). 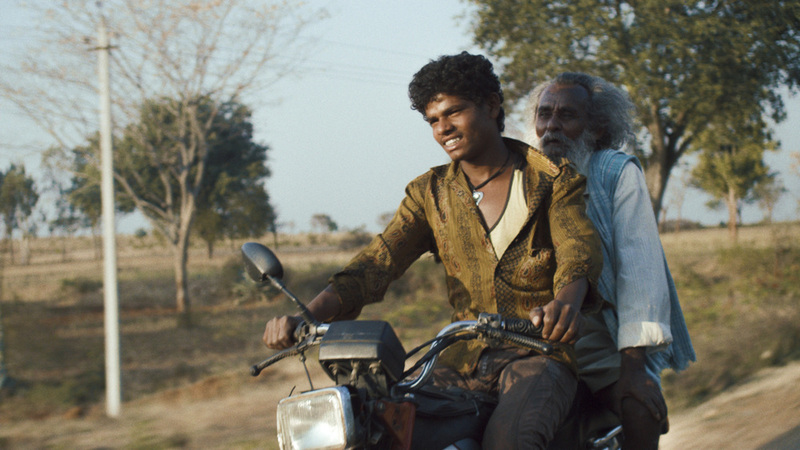 With its charming cast of non-professional actors—both human and ovine—director Raam Reddy’s feature film offers a playful portrait of intergenerational conflicts and differences. Two brothers are bitten by the movie bug when they conceive an idea to smuggle drugs in empty film canisters in this often hilarious satire of politics and filmmaking. With an easily manipulated director on board, their controversial storyline involving forbidden love catches the eye of local authorities and their original plan takes a backseat to their cinematic ambitions. Simultaneously an astute observation of nonfiction filmmaking’s dilemmas, and a wonderfully creative autobiographical collage, Cameraperson is a must-see for all documentary enthusiasts. 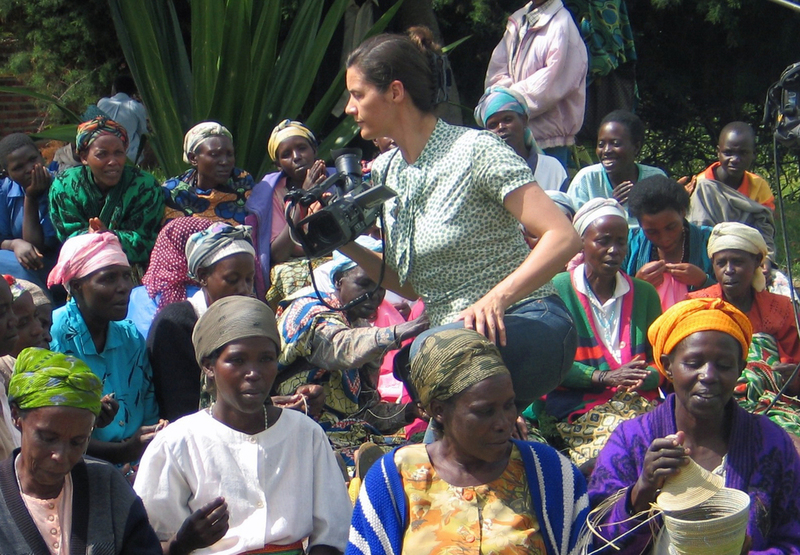 Acclaimed cinematographer Kirsten Johnson, who has lensed such acclaimed films as Citizenfour, Very Semi-Serious and Darfur Now, assembles moments from 25 years of location shoots—including a birthing clinic in Nigeria, a Bosnian farm, a detention center in Yemen and a boxing ring in Brooklyn—and stiches together an illuminating, emotional patchwork memoir. We are embedded on a massive cargo freighter as it chugs slowly across the vast Atlantic ocean in this haunting, meditative and expansively ambient film. Humanized by the melancholy of a hard-working crew as they struggle against the elements, Mauro Herce's insightful and poetic cinematography emphasizes the smallness of human experience against the crushing and mighty mechanical grind of the ship, and the unknowable vastness of the open sea. Amanda Micheli's stirring and suspenseful documentary follows several aspiring parents who desperately want to have a baby but are struggling with infertility and the high cost of treatments. They place themselves in the hands of Las Vegas doctor Geoffrey Sher and his annual contest offering a prize of a free round of in-vitro fertilization treatments—with no guarantee of pregnancy. A rollercoaster of hope and despair awaits them all. Filmmaker Moby Longinotto's fascinating, thoroughly candid documentary invites audiences to pull up a chair at the never-dull family table in a Mississippi trailer park home. Everything is on the menu: dashed dreams, seething resentments, sexual awakenings and dollops of unconditional love. 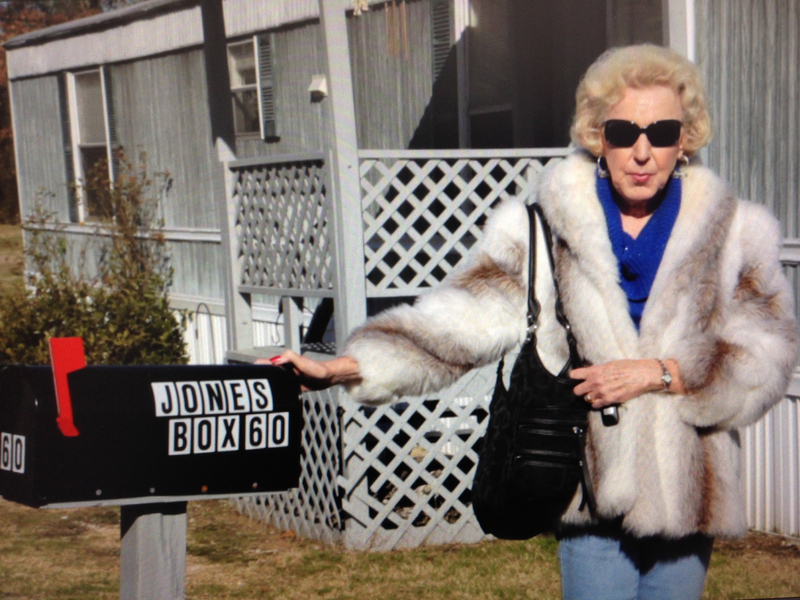 Overseeing all the tumult is unflappable, 73-year-old transgender matriarch Jheri Jones, whose dedicated ministrations keep her family going. Executive produced by Wim Wenders and Errol Morris, this elegant and chilling documentary provides a glimpse of what the US government doesn’t want you to know about drone warfare by focusing on three veterans whose service experience caused them to question the usage of drones in overseas combat. A taped journal that theologian John Hull kept after the onset of blindness in 1980 forms the basis of this elegant and moving depiction of struggle and transcendence. Hull's own voice provides the audio, though an actor plays the deceased writer, as he learns to negotiate his condition and endures a crisis of faith. Sublime sound design further enhances this evocative documentary, making manifest Hull's discovery that the loss of one sense leads to the sharpening of others. Penny Lane’s documentary—comprised of archival material, animated sequences and the occasional talking head—blooms into an incredible almanac of early 20th-century quackery and innovation as she focuses on JR Brinkley, an early broadcasting baron, direct-mail pioneer and an evangelical proponent of goat-testicle implants. An empire built on spurious claims and fear mongering seems unstoppable—until an obscure regional newspaper dares to question its foundations. After California voters reversed the state's Three Strikes law, thousands of inmates became suddenly eligible for resentencing and release. This provocative and touching documentary chronicles what happened next. Filmmakers Kelly Duane De la Vega and Katie Galloway (Better this World, SFIFF 2011) focus on the journeys of the newly free and their families, as well as the Stanford-based lawyers working on behalf of nonviolent offenders, illuminating the multifaceted struggle behind every transition from incarceration to freedom. 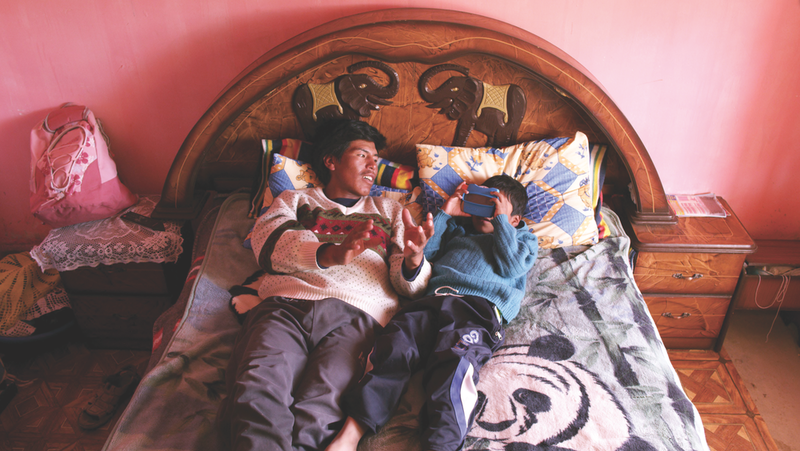 Moises Chambi Yucra and his family stand at the crossroads of time. 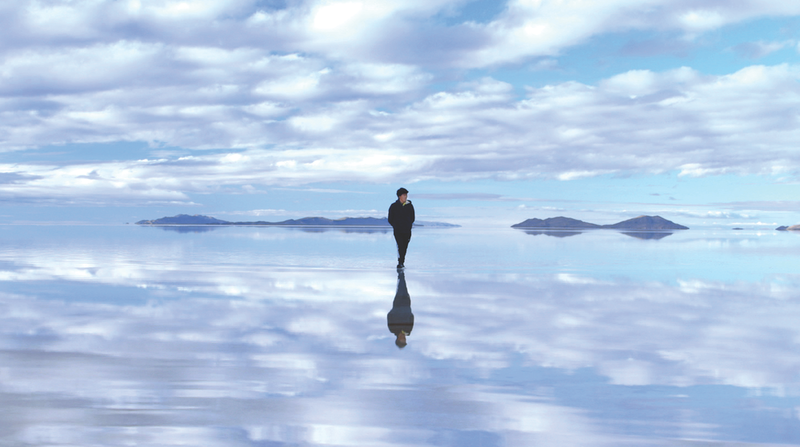 For generations, they have has made a humble living harvesting salt from Bolivia’s Salar de Uyuni, the world’s largest salt flat, but beneath Uyuni sit massive amounts of lithium, a mineral instrumental in powering smartphones and electric vehicles. With stunning cinematography that captures both the vibrancy and the solitude of the land and life, director Mike Plunkett captures the final days of an age-old way of life. Shot with the permission and supervision of North Korean authorities, Russian director Vitaly Mansky’s film turns a propaganda effort into a deep-cover documentary about life inside one of the world’s most repressive nations. Its subjects—a young girl in Pyongyang and her family—rigorously stick to the ideological script, but by keeping the camera rolling between takes of their carefully staged “real life,” Mansky reveals the grinding gears of the totalitarian message machine. 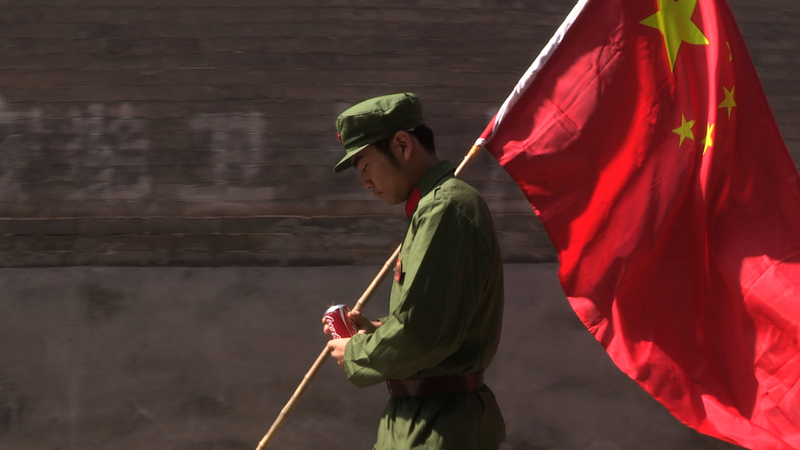 Du Haibin’s insightful documentary captures five years in the life of a young Maoist zealot in northern China and provides an unforgettable portrait of China in transition. As the tumult of the country's recent history unfolds, cracks in the armor of Zhao's patriotism appear on multiple fronts. Communist Party corruption scandals, the rise of capitalism and the inhumane treatment of his family due to a reclamation project erode his bright optimism. The 59th San Francisco International Film Festival runs April 21–May 5 at the Castro Theatre, the Alamo Drafthouse New Mission, the Roxie Theater and the Victoria Theatre in San Francisco and BAMPFA in Berkeley. Held each spring for 15 days, SFIFF is an extraordinary showcase of cinematic discovery and innovation in one of the country’s most beautiful cities, featuring nearly 200 films and live events, 14 juried awards with nearly $40,000 in cash prizes and upwards of 100 participating filmmaker guests.